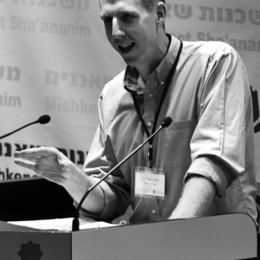 Dru Johnson is an Assistant Professor of Biblical Studies at The King's College (NYC) and a Visiting Professor at Covenant Theological Seminary. Before that he served as an IT manager and then pastor of 10 years in St. Louis, Missouri and St. Andrews, Scotland. His doctoral research (University of St. Andrews, Scotland) explored epistemology in the Pentateuch and Mark's gospel. He has a forthcoming book called Biblical Knowing: A Scriptural Epistemology of Error (Wipf & Stock, forthcoming). He is married with four children. True story: he was initially denied entrance into the military at 17 years of age because of a large tattoo across his back that read "SKINHEAD." He had it covered up with an even larger tattoo and enlisted soon thereafter.